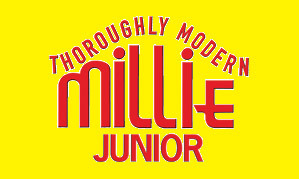 The Reynolds Performance Company 2nd Year students have just completed another successful tour of the local primary schools with their production of Thoroughly Modern Millie Jnr to great acclaim finishing with a final performance at Hextable Dance on the 5th December 2009. This was directed and choreographed by Paul Madden. The musical direction was by Iain Vince-Gatt. The Reynolds Performance Company Professional Year student’s performance of ‘The Permanent Way’ was performed at Hextable Dance on 5th December. This was an incredibly moving performance and stretched the students to a new level. It had the audience hysterically laughing one minute and then close to tears the next. Directed by James Palm. The Reynolds Performance Company 1st Year student’s have just completed their first performance for Reynolds directed by Luke Fredericks and musically directed by Iain Vince -Gatt. This gave the student’s a chance to ‘have their moment’ in a format that wasn’t necessarily in their comfort zone. They all rose to the challenge and made some significant personal achievements.